Unleash the sense of adventure within you! 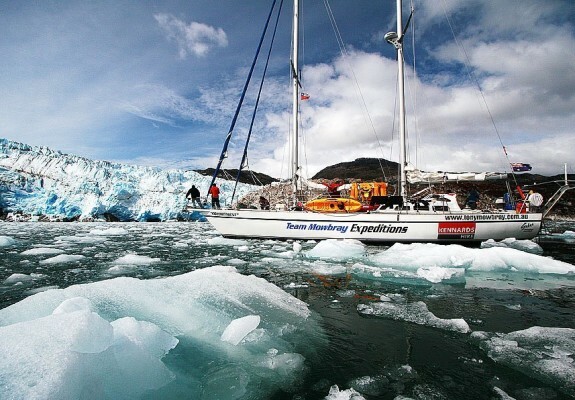 Team Mowbray’s adventure sailing expeditions specialise in taking individuals & groups of all ages who seek positive, different and rewarding experiences in life on an adventure. We live the moment! Tony & his son Jordan have a highly specialised 60ft charter yacht “COMMITMENT” built and equipped for durability, robustness and strength. Commitment is crewed by experienced professionals. A good positive attitude will serve you well. Participation is the key to an enjoyable experience. 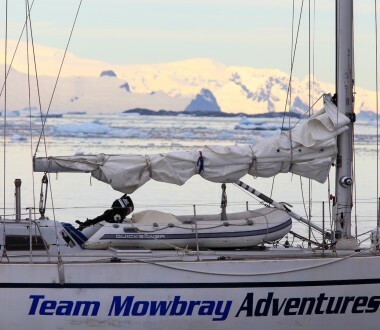 Team Mowbray attract and encourage people who are outgoing, adventurous and seeking different, fulfilling experiences in life. Sailing experience is NOT necessary. Welcome any age group or gender. 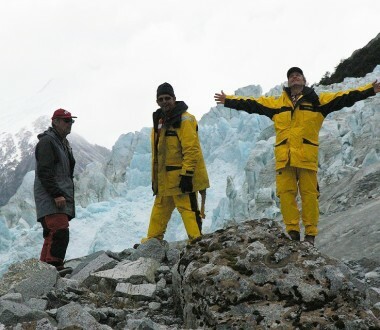 Antarctica will change your life in ways you could never have imagined! 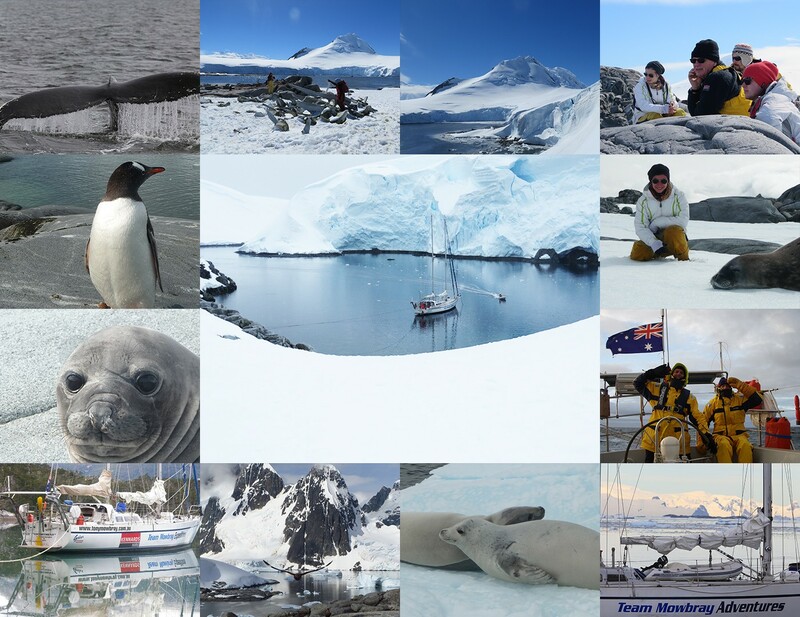 Antarctica is a place that humbles, inspires and excites and is one of the planets most desired destinations to visit. It is like being on another planet. 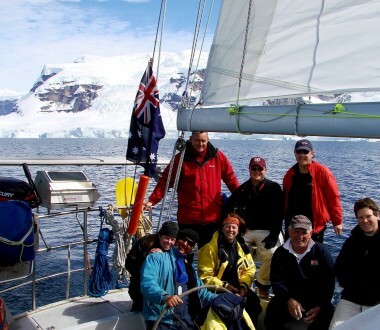 Team Mowbray will take you to a hauntingly beautiful part of Antarctica where the mountains reach the sea along the Antarctic Peninsula discharging their huge towering glaciers into the narrow fjords and sheltered bays. Get up close and personal with the abundance of wildlife including Humpback, Minke and Killer Whales as they surface close to the boat, leopard & fur seals, 1000’s of penguins plus visit a number of scientific stations and historical sites. Everywhere you look you will see beautiful icebergs of every imaginable shape and size with amazing colours that will leave you marvelling at nature’s creation. Imagine walking straight into a wildlife documentary with a pure beauty, its energy and extraordinary wildlife. It doesn’t matter how many photos or documentaries you have seen it will never speak to you as it will in person. The last great frontier for tourism & personal adventure. For centuries, “Rounding the Horn” has represented the ultimate in nautical adventure. For centuries, “Rounding the Horn” has represented the ultimate in nautical adventure. Cape Horn is the mystical solitary sentinel of rock at the end of the world! The Spanish name is “Fin del Mundo”…”The end of the World” How many people do you know who have seen Cape Horn? Or rounded the Horn? Many have dreamt of …thought of or talked about Cape Horn for years. Read books, watched documentaries, talked to those fortunate enough to have been there! Thinking….”I wonder what it is really like?” You may have thought…….perhaps one day That day has arrived!!! This is your opportunity!